costing but the trip will be in the region of £3000 per person. Check out last years itinerary below which is similar to our 2019 trip. 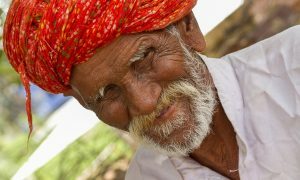 Join us on this amazing and enlightening journey for a totally unique and rewarding experience where you will photograph the people, wildlife, places and colours of Rajasthan. In the company of Ashley, our highly experienced photography trainer and escorted by our first class guide you will visit some amazing locations. There are plenty of companies offering photography trips to India but we passionately believe that you will find our photography tour is one of the best. 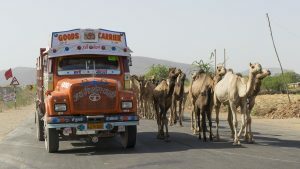 Not only will time be spent visiting the popular locations of Old Delhi, Jaipur and Udaipur but unlike many other companies you will also visit the real India and its wonderful rural communities and remote villages. Staying in specially selected hotels and heritage properties including forts and castles you will soon appreciate the hospitality and fantastic food that India has to offer. You will experience transport of all types from express trains, local trains, local buses, minibuses to a tut tut and cycle rickshaw. Our schedule is meticulously planned by us and Pradeep, our guide, and includes everything you require for your trip, including, flights, transport, entrance fees, local guides, accommodation and breakfast all the way down to the best places to eat and buy water! Photography opportunities are everywhere and you will have the chance to photograph the people, wildlife and vistas throughout the tour. We guarantee that you will struggle to decide which direction to point your lens! 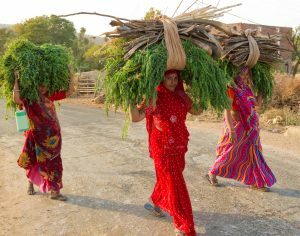 Many people are often worried about travelling around India and becoming ill. There are a few basic rules to remember which we will discuss during our pre departure group meeting but most travellers usually fall foul by purchasing food and water from street vendors. Pradeep and ourselves will advise you throughout the trip on what is safe and what should be avoided. We only eat at tried and trusted restaurants. Check out our YouTube slideshow from our last trip below! Depart Virgin Atlantic London Heathrow 21.50 arriving New Delhi 11.55 local time on Monday morning. Welcome to India! The trip begins in India’s historic capital; Delhi where time will be spent exploring this fascinating city including visits to the Spice Market and Sikh temple amongst many other locations. An early morning luxury train from Delhi to Agra with a visit to the beautiful Taj Mahal and Agra Fort. A local bus and jeep journey will take us to a remote rural village near Bassi where we stay in a 400 year old fort with an afternoon walk around this wonderful village and meet and photograph its inhabitants both young and old. After a stop for a cup of tea in the village, Indian style, we return to the hotel for dinner and watch the sun go down with a glass of something on the roof. Private vehicle to Ranthambore National Park and Tiger Reserve with an afternoon safari searching for tigers and many other species. Following a second morning safari at the tiger reserve our next stop is Bundi a small rural town of blue coloured houses, bazaars and temples along with its wonderful palace and step wells. A local train to the Bijaipur Castle Hotel where the owner, a descendent of the Raj still resides and is a very keen photographer. A day of rest and relaxation in this wonderful hotel and a walk around the village. A jeep safari around Bijaipur and we explore a local village where opium is harvested (legally) and meet the opium farmers at work in the fields we spend the night camping (in luxury) beside a beautiful lake with photo opportunities around the lake and in the nearby village. Our final two nights are spent in Udaipur beside the shimmering Lake Pichola of James Bond fame. Time will be spent visiting the City Palace, photographing the locals bathing at the lake edge and generally exploring this intriguing city. Staying in the hotel where parts of ‘The Best Marigold Hotel’ were filmed with its superb view of the lake and an evening class on Indian cooking included. Afternoon flight Udaipur to Delhi, morning optional activity Monsoon Palace, boat ride etc. Depart New Delhi 1355 Virgin Atlantic to LHR arrives 1755 UK time. Please call us to book a place and for further information.